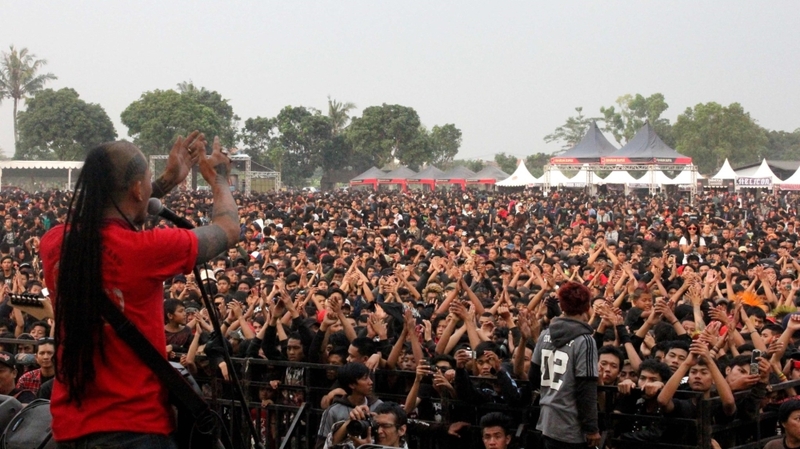 Medan, North Sumatra – Musicians in Indonesia have slammed a new draft law seeking to criminalise content deemed pornographic or blasphemous, saying it could potentially limit freedom of expression across the vast archipelago. Under the Music Bill (RUU Permusikan), which is being considered by parliament, creators would be “prohibited from including negative influences from foreign cultures or those that demean human dignity”. Offenders could face fines or jail time. Since its unveiling last week, the bill has faced a backlash on social media, while an online petition calling for its scrapping has attracted almost 270,000 signatures as of Tuesday. On Sunday, dozens of protesters in Bogor near the capital, Jakarta, rallied against the proposed legislation, according to media reports. 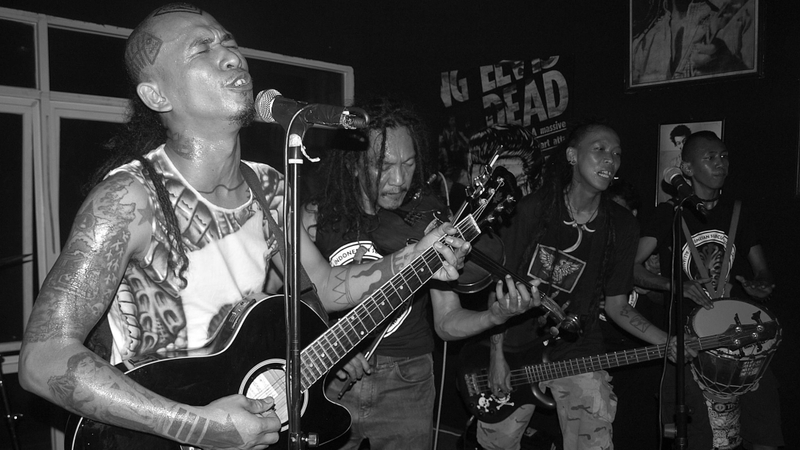 “The draft law is ridiculous and doesn’t make sense,” Mikail “Mike” Israfil, the lead singer of Indonesian punk band Marjinal, told Al Jazeera. Its adoption, he added, would “be like going back to the authoritarian regime of the New Order dictator Suharto”, referring to Indonesia’s second president whose rule from 1967 to 1998 was characterised by strong central government and a series of clampdowns on free speech, including against the arts community. While Indonesia is now one of the world’s largest democracies, concerned musicians said the draft legislation was opaque and could be abused to silence political discourse and curb freedom of speech. “This bill is more than just a law that would allow concerts to be raided and albums censored. It’s an effort to silence the democratic process,” Herry Sutresna, a musician who goes by the stage name Morgue Vanguard, told Al Jazeera. According to Sutresna, who was part of the hip-hop collective Homicide and whose songs regularly take aim at capitalism, the military and corruption, authorities could potentially use the legislation “to stifle critical voices that come from the arts community”. Djoko Udjianto, head of Commission X, the House of Representatives working group handling the Music Bill, stressed the bill is far from finalised and rejected the idea that it is designed to muffle freedom of expression. “The proposed bill is meant to bring all members of Indonesia’s music industry under the umbrella of the law. It’s there to protect them,” he told Al Jazeera, calling for calm. For some concerned musicians, the proposed bill might be an unwelcome development but it’s also nothing new. “If we reflect on the history, the music scene in Indonesia has never been fully ‘free’ and tends to be repressed,” said Hikmawan “Indra” Saefullah, who played guitar in the indie band Alone at Last from 2002 to 2013 before becoming a lecturer in international relations at Universitas Padjadjaran in Bandung. Indra argued that “concerts tend to be controlled, restricted and even exploited” to this day. “One incident was the arrest of ‘punks’ in Aceh Province in 2011 who were sent to police camps for reeducation – and this still happens today in various regions across Indonesia,” he told Al Jazeera. But even if the legislation is adopted in its current form, many musicians said it would not curb their artistic aspirations and freedom – despite the potential penalties. Mike was equally defiant – mindful of the impact music could have. “I won’t turn away from my artistic path,” he said. “From the very beginning, I’ve used artistry, especially music, as a means of expression, against those who abuse power and as a way to build critical awareness in society,” he added.